This used to be a waterfall, as you can see from the first photo. 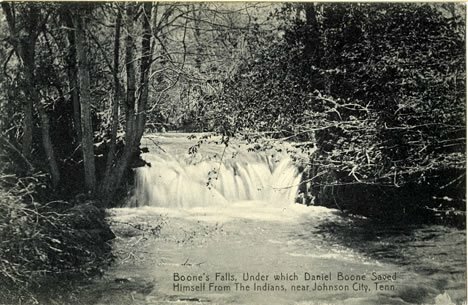 Daniel Boone hid from indians under it. It is located in Boone's Creek, just north of Johnson City. DIRECTIONS: Take exit 38 on Interstate 26. Turn right if you are coming from Johnson City. Turn left if you are coming from Gray. Drive 0.8 miles and turn right before you get to the four way stop light. 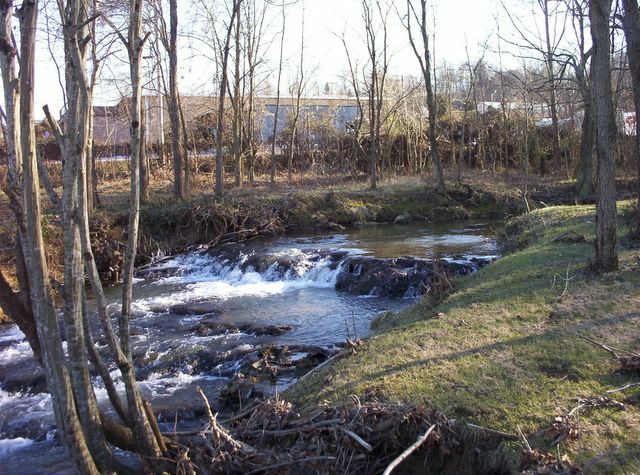 Drive 0.3 miles to the unsigned turnout just before the small bridge that crosses the creek. A lawn mowing company has recently located here. Walk on the bridge to view what is left of the falls.